Explore the fascinating world of seafood cookery and the science behind it to get the most out of your catch. You will be preparing (and eating!) different dishes and learning their specific cooking procedures, and even stuffing secrets. Learn some choice marinades and a je ne sais quoi that will leave your friends wanting to bring you their own catch! This class includes a recipe booklet, light meal with wine sampling and your own customized kitchen utensil to take home! Spanish cuisine, as colourful as the country is large, may be among the most varied and interesting in the world. 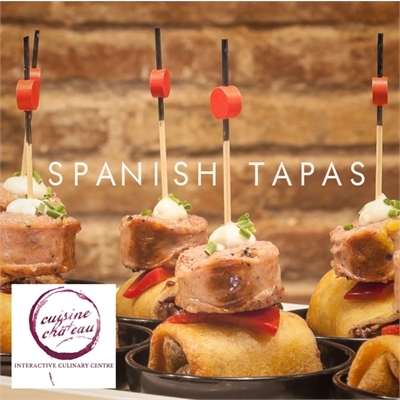 Since before the Romans, the Iberian Peninsula has received influence from many culture and regions and its gastronomy has evolved along with each century, each invasion and each conquest. 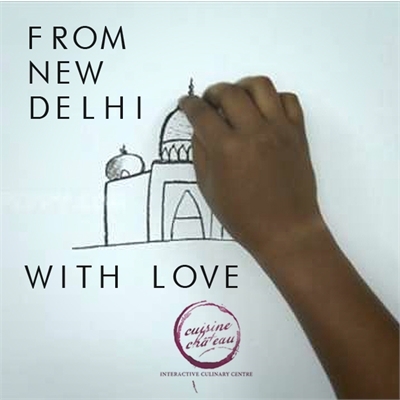 Join us and put your hands and taste buds on some classic dishes, flagships of the country’s culinary scene. 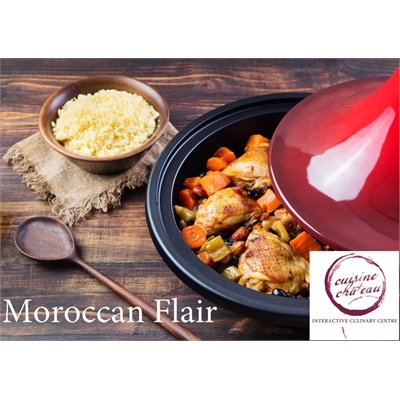 This class includes a recipe booklet, a 3 course meal with wine pairing or non-alcoholic beverage and take home your own box of authentic Persian saffron (1 gr)! 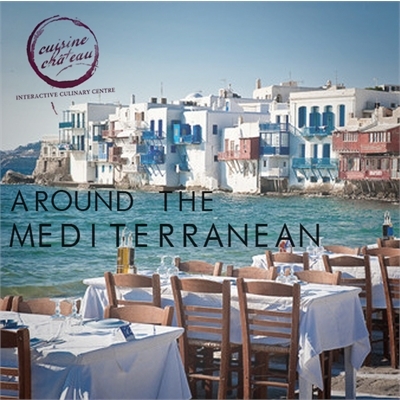 Take a seat "Around the Mediterranean" and get ready to roll up your sleeves and create classic dishes inspired by flavours of the Mediterranean coast and that are surprisingly easy to make. This class includes a recipe booklet, a three course meal with wine sampling, and take home your own box of authentic Persian saffron (1 gr)! Take your breads to the next level as we experience classics like baguettes and sourdough. Understand how different times and temperatures create fantastically different products. 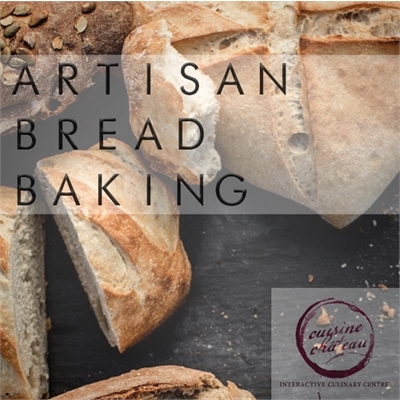 Learn how to correctly shape loaves and how to use your home oven as both a proofer and baking hearth for artisan breads. This 2 day class includes a recipe booklet, light meal, and a customized kitchen utensil to take home! 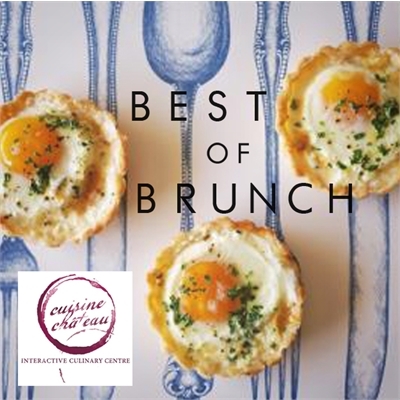 Hands-On class includes customized kitchen utensil, recipe booklet, wine, coffee or tea and a full brunch. Milks, starters, coagulants and salt - get the basics and understand how to transform these ingredients into complex edible delights. This workshop is a combination of hands-on and demonstrations on the basics of cheese making. Some of the recipes include ricotta, creme fraiche, cultured butter, mozzarella, and paneer. This class includes a recipe booklet, light meal and a customized kitchen utensil to take home. Once you have learned about the process of making cheese, and tried your hand at it in our level one course, it is time to move on to cheeses that are brined, aged, washed, and milled. The process of aging cheese, the environment required, and the process for creating feta, cheddar, and brie will be demonstrated, and practiced. 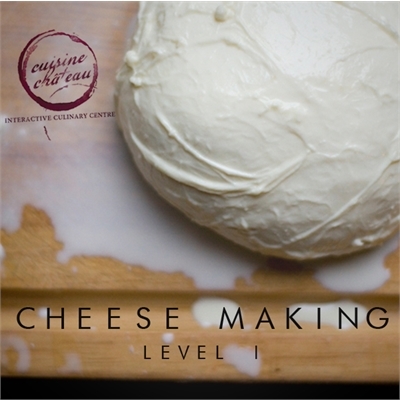 Pre-requisite: Cheesemaking workshop Level I @ Cuisine et Chateau or other similar experience. Bonjour et bienvenue to our Classic Parisian bistro kitchen! 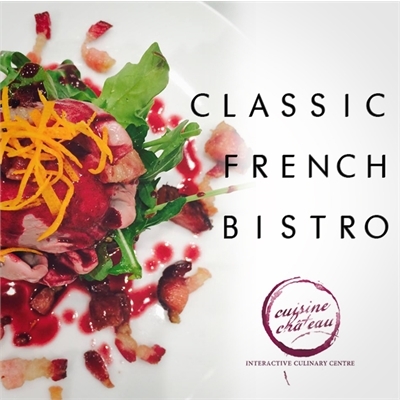 This class is a tribute to our French classics such as wild mushroom crostini and Duxelle Bechamel, potage Argenteuil, perfect poached egg on Arugula salad with red wine syrup and croutons and lardon, and a "belle tarte aux pommes" minute... Bon appetit! 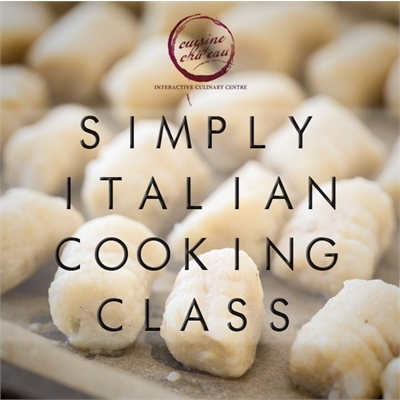 This class includes a recipe booklet, a three-course meal with wine pairing or a non-alcoholic beverage, and a customized kitchen utensil to take home! 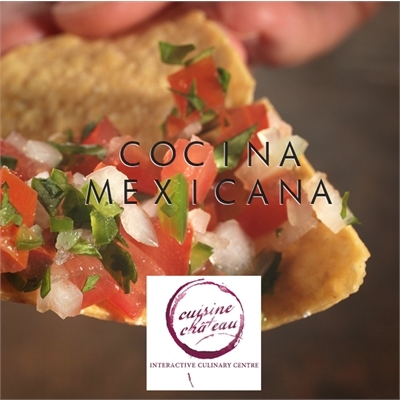 Join us for this one of a kind authentic Mexican cuisine workshop! Learn the secrets behind a true Guacamole and Salsa Fresca, make your own corn boat and put your hands on fresh authentic Mexican dishes such as Chalupas de Chorizo, Enchiladas de Pollo, Churros and more. This class includes a special cocktail, a three course meal with wine pairings, and a customized kitchen utensil to take home. Are you eager to build a good knowledge base and get inspired in your own kitchen? This 4 class program a fantastic way to do it. 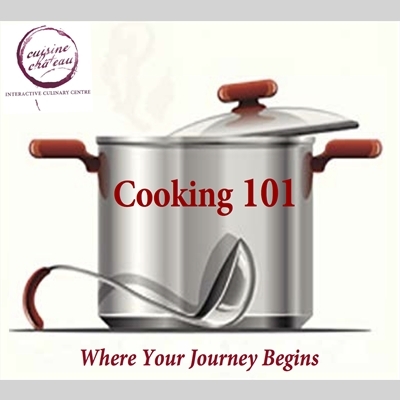 This course is designed to help you sharpen your cooking skills and to better understand the science behind the heat. Confidence is the key to the kitchen door and our veteran chef will guide you in all the steps to get there. Each week will focus on specific fundamental skills that will provide you with all the necessary tools to create fantastic dishes from starter to finish. 4. Mash it down: Looks like mash, taste like.. whoa! All 4 classes includes a meal and a beverage. Please feel free to bring one of your own knife on the very first day for the sharpening session. This 3 1/2 hours workshop will provide you with all the necessary tools to master your grilling and smoking experiments! 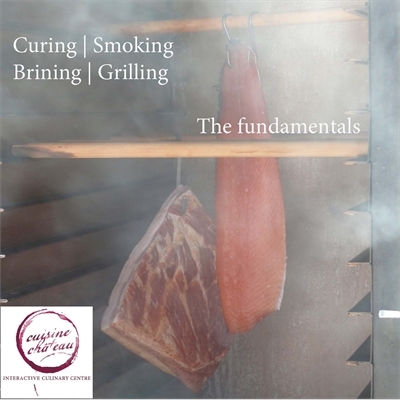 Our instructor will teach you the purpose of brining and curing, the difference between hot or cold smoke as well as the perfect temperature and technique for properly using your grill/BBQ at home. You will also learn about different woods and spices for distinct smoking flavour, how to make your own bacon, smoking spices, rubs and more. 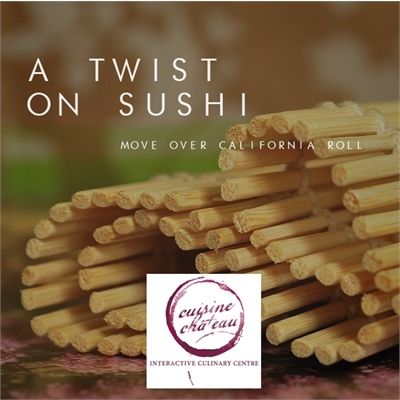 This class includes a recipe booklet, a meal with wine sampling and your own customized kitchen utensil to take home! Thailand's unique blends of hot and sweet, sour and salty, make its food utterly different from that of its neighbours, even though many of the ingredients are the same. From appetizer to dessert, you will unveil all secrets along with tips, tools, and techniques that will enable you to easily bring delectable Thai dishes to your table! This class includes a recipe book, three-course meal with wine pairing, and a customized kitchen utensil to take home! Try your hand at tempering (a professional technique used for setting). You’ll learn how chocolate is grown and made while tasting a variety of exquisite chocolates from around the world. 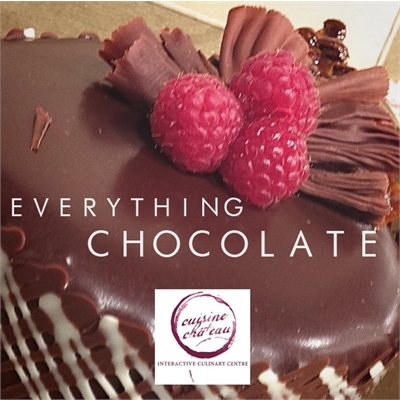 This class includes a recipe booklet, a light meal and your very own chocolate cake to take home! 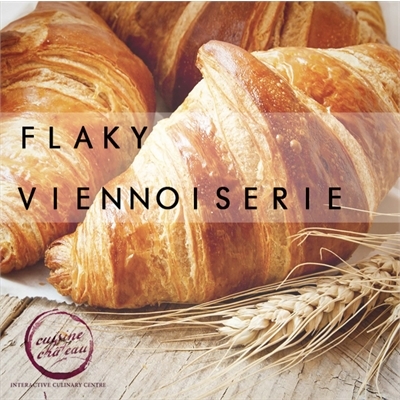 The magic of croissants, danishes, turnovers, and puff pastry is revealed in this hands-on workshop that demonstrates the technique of layering yeast leavened dough with butter. You will learn how to get the most flavour and flakiness out of your products, and understand everything you'll need to repeat the success at home. This class includes a recipe booklet, a light meal and a customized kitchen utensil to take home. Previous experience with bread making is recommended for this class. 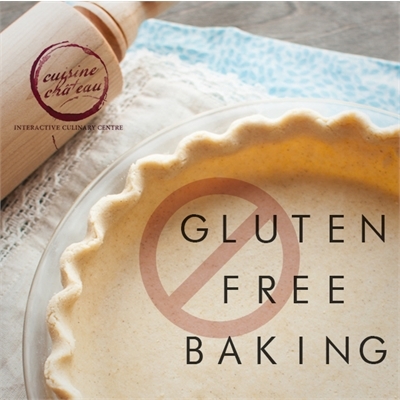 Breads, cookies, cakes and beautiful desserts are all within reach of anyone wanting to avoid gluten. With simple ingredients and minimal substitutes, this class is packed with techniques, resources and recipes that are virtually endless. This class includes a recipe book, light gluten-free meal, and a customized kitchen utensil to take home! 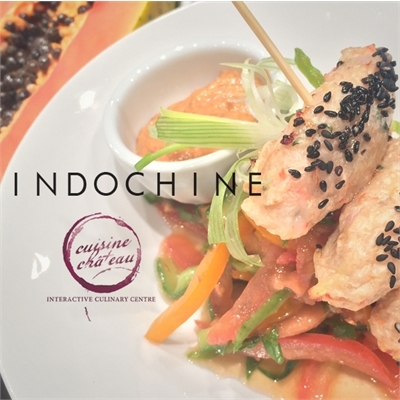 A territory formerly known as "French Indochina", located between India and China, Indochine's very unique ingredients are constantly inspiring many talented professional chefs. 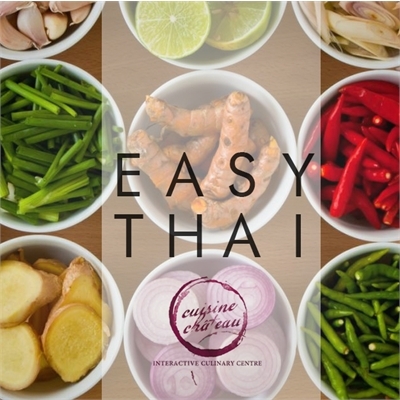 This class will give you a chance to explore its amazing array of flavours and you will learn to create simple and flavourful dishes that will trigger your own culinary expression. This class includes a recipe book, a three-course meal with wine sampling or an non-alcohol beverages, and a customized kitchen utensil to take home! Nothing smells, feels, and tastes better than homemade bread. 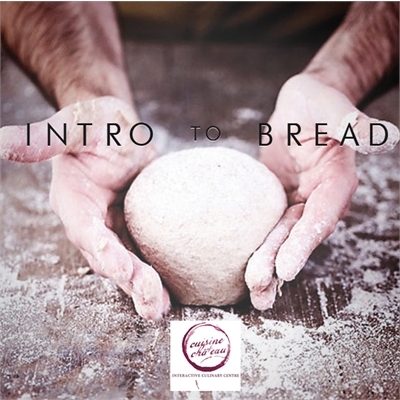 Discover the main ingredients of bread-making and get busy kneading, shaping, proofing and baking. This class is filled with lots of instruction and information to ensure you can easily re-create your masterpieces at home. 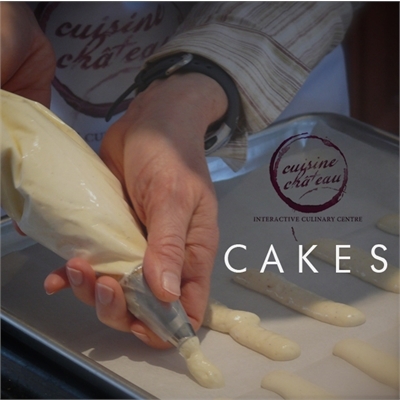 This class includes a recipe book, light meal and a customized kitchen utensil to take home! 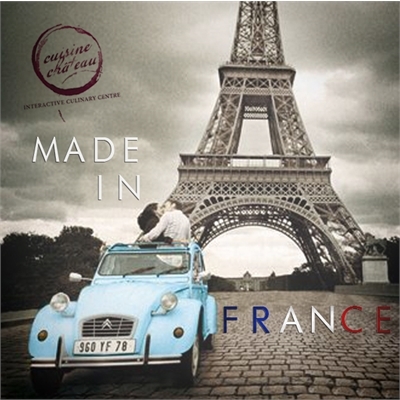 "Joie de Vivre" can be explained in words....but we prefer to tell you with food!!! This class, lead by renowned French chef Thierry Meret, will explore the four elements of France's culinary traditions that have finally earned a spot on UNESCO's world heritage list. This class includes a recipe book, a three-course meal with wine sampling, and a customized kitchen utensil to take home! Come and join us for a Mother's Day Celebration in our kitchen and team up with your mum in this hands-on cooking class! 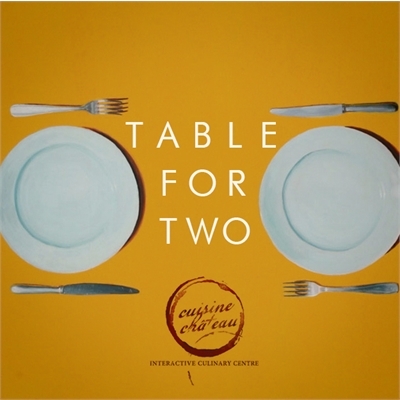 You will be focusing on preparing together a fun 3 course-lunch paired with wine while we'll take care of the dishes! 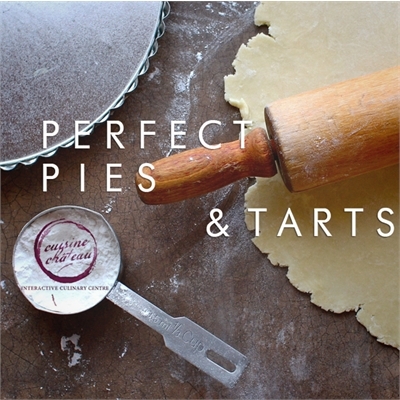 Looking to master that ever elusive perfect pie crust? It’s closer than you think. Learn to get it right every time, and with every filling, in this hands-on class that will have you making pies, tarts, galettes and tortes like a pro. This class includes a recipe booklet, a customized kitchen utensil to take home and a light meal. Roll up your sleeves and fill your plate with great Italian classics. Simplicity is the foundation of Italian cuisine and it relies mainly on the quality of the ingredients rather than on elaborate preparation. This class includes a recipe book, a three-course meal with wine sampling or a non-alcoholic beverage, and a customized kitchen utensil to take home! This class will explore the creative world of tapas and what it has become. Originally, tapas (from the spanish verb tapar meaning "to cover") was a slice of bread, usually topped with cured meats, placed atop one's glass of sweet wine to prevent attracting fruit flies. Using only the freshest ingredients, you will learn how to prepare, compose and present an assortment of tasty bites that will get your friends talking and wanting more! 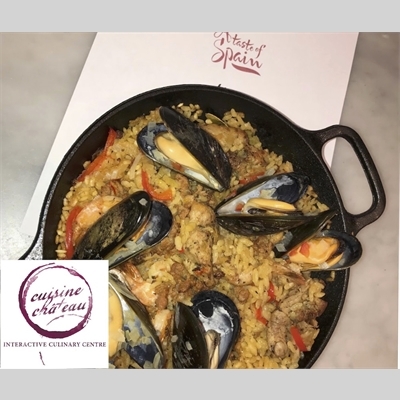 This class includes a recipe book, a Spanish-style diner with wine sampling or a non-alcoholic beverage, and a customized kitchen utensil to take home! Join us and be ready to sharpen your knife skills! 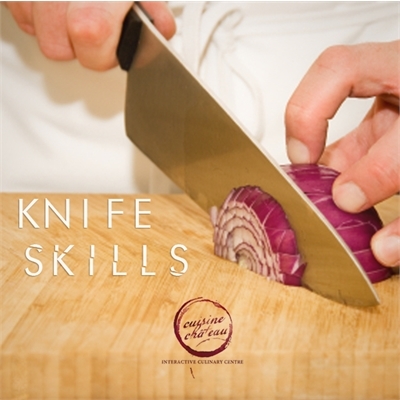 This class focuses on understanding the use of knives in the kitchen as well as keeping them sharp. 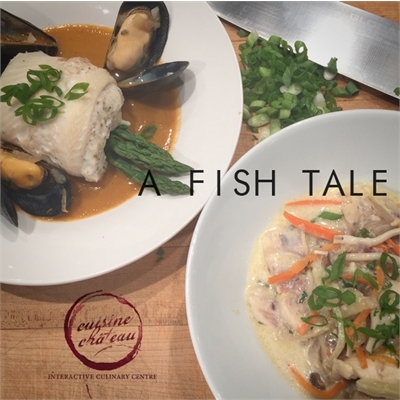 You will learn to properly dice, chop and slice in an array of different styles for different functions and great eye appeal and learn about fish filleting as well as slicing other proteins. From there, you will be cooking and plating your creations in a way that will make you look like a pro! This class includes a recipe book, light meal with wine sampling or non-alcoholic beverage and a customized kitchen utensil to take home! Please feel free to bring one of your own knife from home to get sharpen in class! 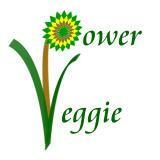 This class is more than just a veggie party. It is an awakening of flavours, textures, a new approach on composition, and an introduction to techniques whereby you will not just learn "how to" make things. Whether with veggies, grains your mind will be forever sparked by the "what if" factor, as you gain a new appreciation for the power of vegetables on your plate. This class includes a recipe handout, a three-course meal with wine sampling or a non-alcoholic beverage, and a customized kitchen utensil to take home!